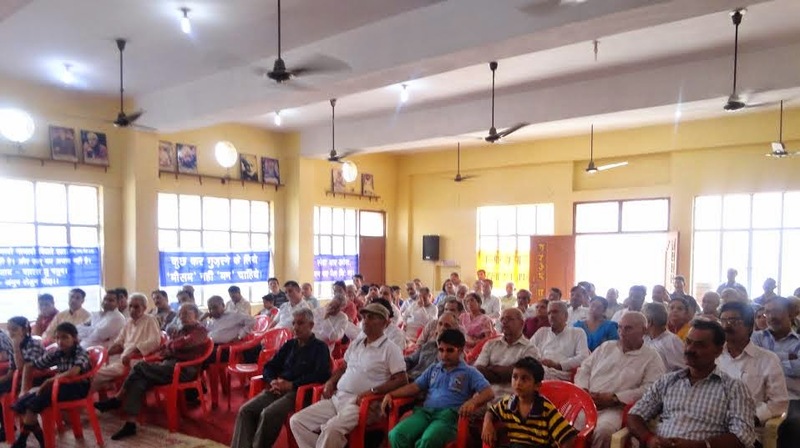 To mark the accession of Jammu and Kashmir with the country on 26th October 1947 a function was held at Sanjeevani Sharda Kendra, Anand Nagar, Bohri JAMMUon Sunday. While speaking at the function noted jurist and constitutional expert B L Saraf highlighted the salient aspects of the process of accession to the country by the then Maharaja Hari Singh said that the constitutional validity of the Accession to the Union of India was complete in all respects. Dispelling the questions raised by anti –India forces within the country and outside he lambasted their vicious and false propaganda. He said further that these people hold no ground and elaborated further that even United Nations too has not questioned the legal validity of the Accession. Eminent columnist Shiban khabri while speaking at the function traced the history of turbulent ties of 1947 said that the sudden attack by Pakistan and its band of raiders who let loose a reign of terror by slaughtering Hindu men and women of the state changed the whole political scene of the subcontinent. The murder and mayhem let loose by tribals called kabalis and the Pak army who even did not spare the nuns of mission hospital Baramulla is a grim reminder of the devilish mindset of Pakistani designs. Khaibri further said that even after almost seventy years the same Pakistani devilish designs are continuing. He said that the Maharaja made a sagacious decision to accede to India and this decision has proved its merit. He questioned that if 13th July is declared as a State holiday when 26th October the Accession Day is not declared as a state holiday. 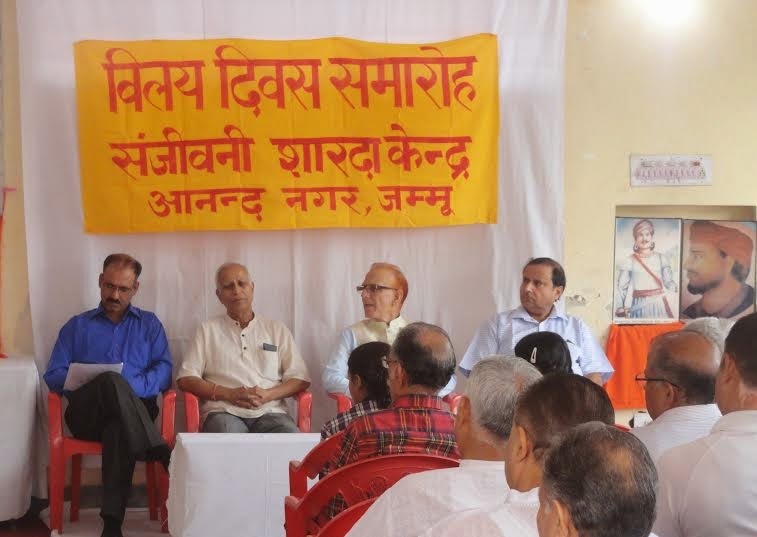 Senior Trustee of the Kendra Hirdey Nath Pandita presided over the function. He impressed upon the need to make all out efforts to remove all obstacles which come in the way of complete merger of the State with the union of India. He further emphasized the need to contribute towards a resurgent, clean and prosperous India. A thought provoking patriotic song written by Hari krishen Siddha was sung by the students of Shastri memorial High secondary School Patoli. .
Sh B L Marhatta presented vote of thanks and noted Hindu poet DR M K Bharat conducted the programme.